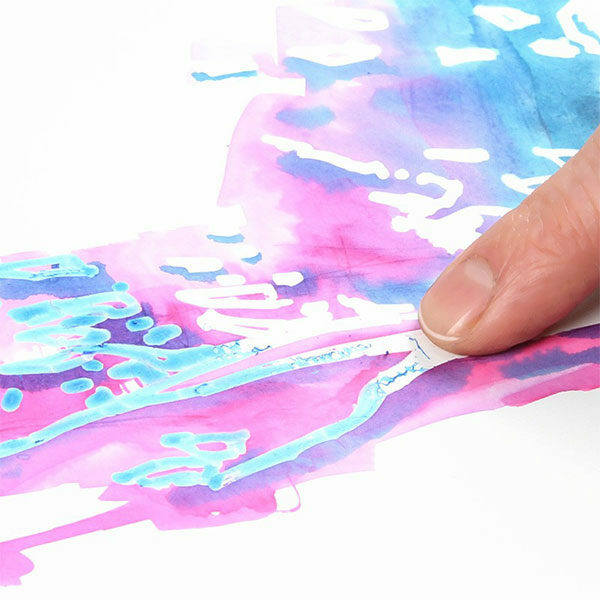 Residue-free masking: never before has it been so easy to apply liquid masking fluid. 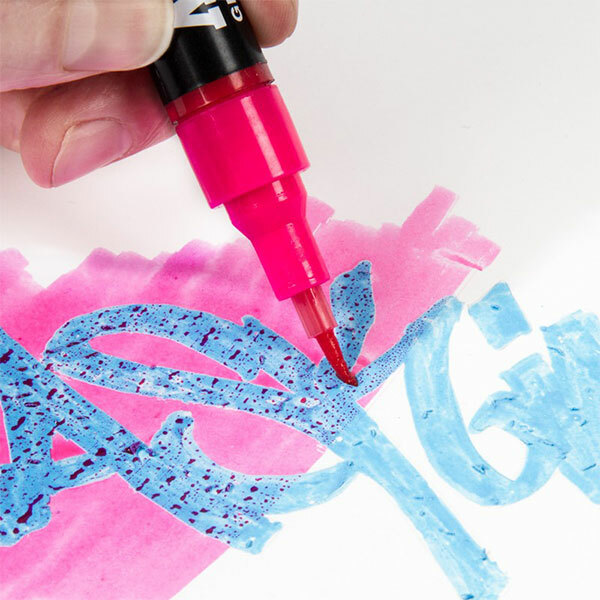 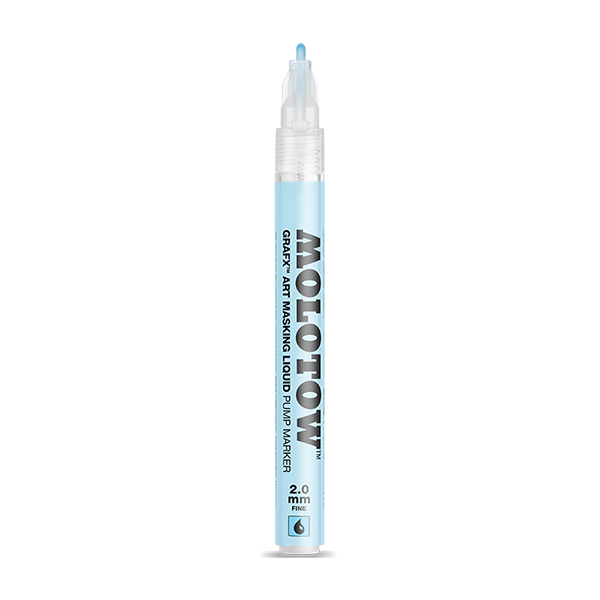 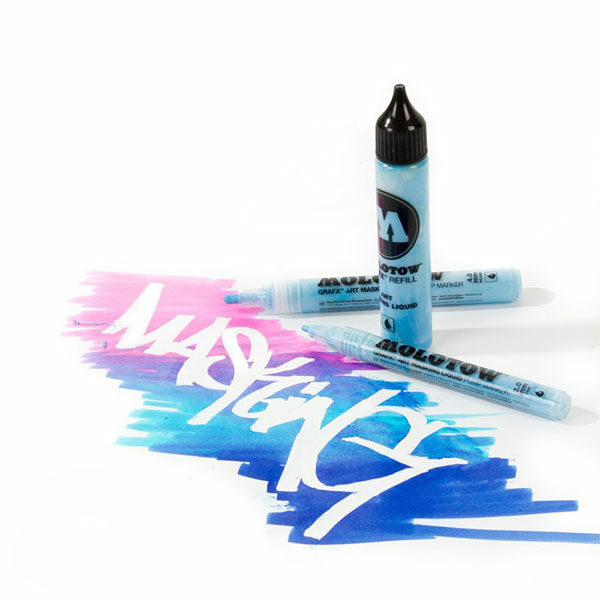 With the ready-to-use marker, precise lines can be drawn – without a brush. This creates white outlines and recesses on almost all surfaces. 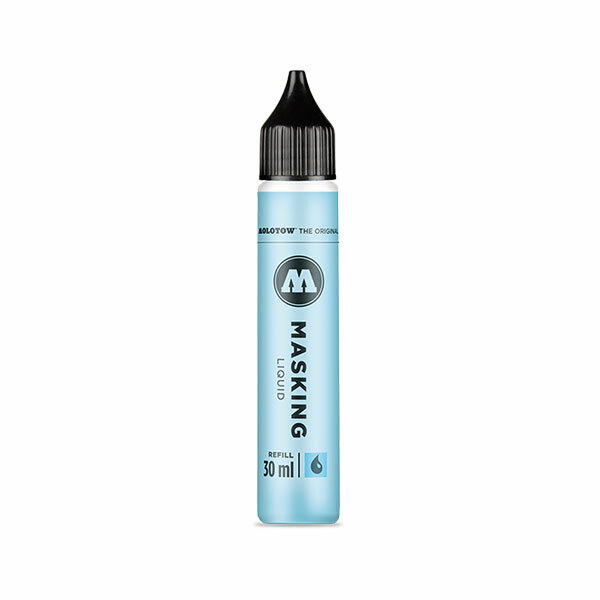 For this, the dried masking liquid can be overpainted with almost all acrylic, water or alcohol based inks. 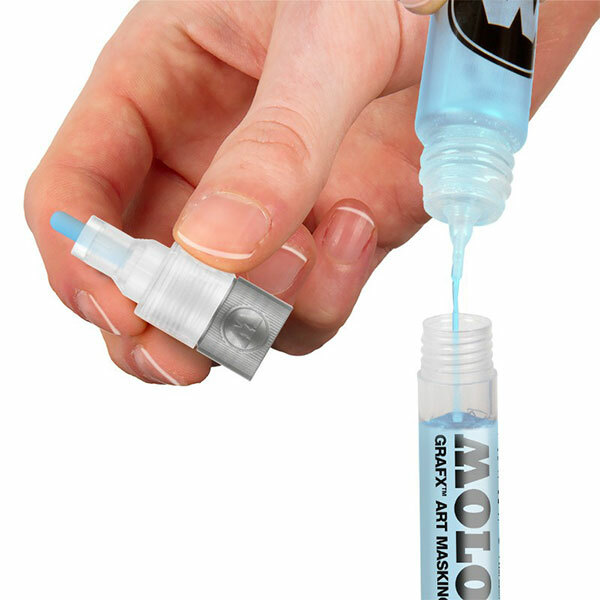 After drying, the liquid can be removed without residue for up to two days.